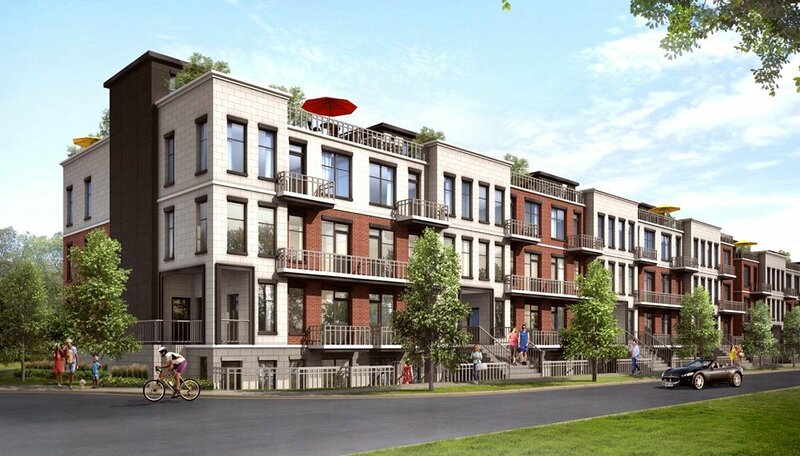 Ready to invest in one of the city’s greenest, most up-and-coming family neighbourhoods? Consider the North York townhouse development at Downsview Park Towns, scheduled for occupancy in 2019. This development, just southeast of Keele Street and Sheppard Avenue West, is barely 20 minutes out of the city, yet the neighbourhood is a destination in itself, with more people than ever flocking to the area to live, work, learn and play. The park itself has long been an underappreciated gem, comparable with Toronto’s High Park. Life in the Downsview Park Towns mean you’ll have the entire 291 acres at your door. Host a BBQ for friends in your private backyard or relax with a glass of wine, followed by a walk at sunset through the tree-lined paths. Stafford Homes and their sister company The Goldman Group - renowned for their luxurious, yet sustainable and eco-friendly designs – are behind this ambitious project. With both three and four-storey models, ranging in square footage from 2,954 to 3,976, the townhomes are spacious with customizable layouts. Options range from three to six bedrooms. All units feature floor to ceiling windows to take advantage of the natural light and surrounding nature, glass balconies and modern, architectural details. 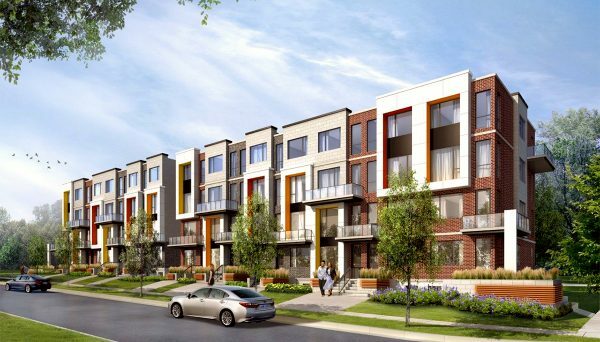 These North York townhomes are designed for quality family living. The large kitchens with your choice of bright, modern finishes, have direct access to your private backyard and are sure to become the heart of your home. The bathrooms provide an oasis-like sanctuary with double vanities, spa-inspired bathtubs and separate showers with glass partitions. Each unit has a private garage. Stafford Homes continues to be a leader in sustainability with their SMARTHOME standards. All the condo feature high-efficiency appliances, thermally-insulated glazed windows, low-flow water fixtures and low-emitting paints and finishes, along with other environmentally-friendly aspects, so your new home can be luxurious as well as responsible. Striking architecture with modern facades and over-sized windows enhances the streetscape of this condo building, while the unobstructed parkland views beckon you. From the luxurious touches of your own home, to the tennis courts and splash pad just outside, come see why Downsview Park is one of North York’s most liveable neighbourhoods. Downsview Park really is a neighbourhood where you can have it all, which makes it a great place to invest. Close to both York University and a healthy employment district, it’s equally attractive for families, young professionals and students. Yorkdale Mall, with its world-class shops and restaurants is a ten-minute subway trip. The brand new Humber River Hospital is nearby, as is the 401, the Allen Expressway and Downsview Station, making the site a commuter’s dream. Reach Toronto’s downtown core in 20 minutes! The neighbourhood is full of recreational fun, from True North Climbing and the National Squash Academy to The Hangar Sports and Events Centre. In the summer, Downsview Park itself hosts music festivals, farmer’s markets and cultural events. What more could you want? 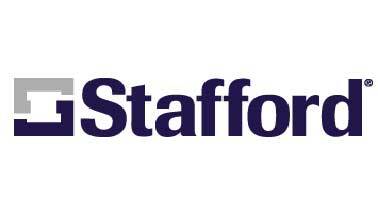 Stafford Homes and their sister company The Goldman Group have been a trusted name in development, construction and property management for over 50 years. They’ve launched several luxury townhome developments throughout the GTA and continue to earn praise for their environmentally-friendly designs. 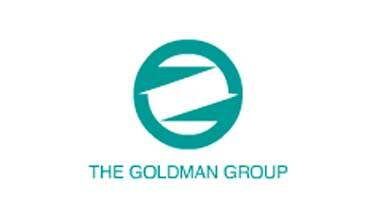 Read more about Stafford Homes and The Goldman Group.